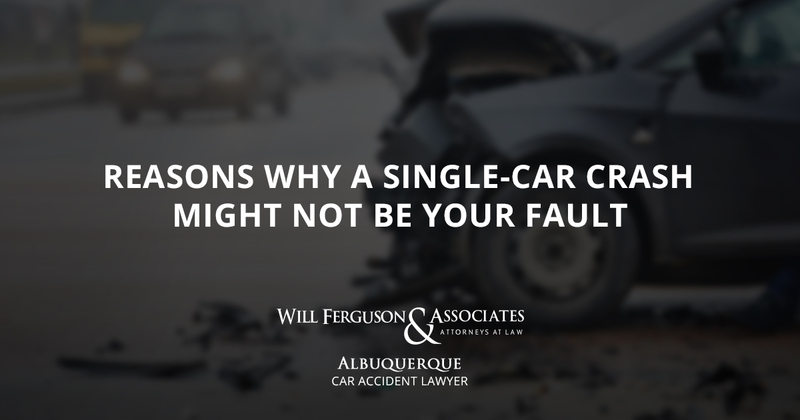 If you’ve recently been involved in a single-car crash, you might not think there’s any way for you to recover compensation from another party. You might even believe that all single-car wrecks are the fault of the driver and that no one else could possibly be to blame. That’s not true, however. Other parties might be to blame after all. Let’s examine a few car accident examples below. Suppose that you’re driving along and your brakes suddenly give out. You can’t stop, and there’s no way for you to avoid a collision, as you’re traveling at a high rate of speed. You try to slow down by driving your vehicle along the side of the road in the grass. You ultimately end up crashing into a tree. Is that your fault? How did your brakes go out? Was it a manufacturing error that left you dealing with faulty brakes? Did a mechanic recently service your brakes and make a mistake? In this example, it could be a mechanic, body shop, or manufacturer that’s liable for your accident. There you are, driving along, following the rules of the road, when you encounter a giant pothole in the middle of the freeway. You lose control of your vehicle and go careening off the road and into a ditch. Were you responsible for this accident, or was it the fault of the pothole that you couldn’t avoid? You can’t exactly sue the pothole, of course, but you can sue the government agency responsible for maintaining the roads for failure to do its job. When the roads you drive on aren’t properly kept up and that negligence causes a collision, the government is liable for damages. Keep in mind, though, that there are damage caps when suing the government. Why File a Claim for an Injury Auto Accident? Most people file auto wreck cases because they have losses following their car crash. Most likely you will have property loss, missed work wages, and medical expenses at a minimum. Winning a personal injury claim means receiving compensation for these expenses. You shouldn’t have to pay for an accident that you didn’t cause. If you aren’t sure whether you’re eligible to sue another party for damages, reach out to a vehicle crash attorney for help. 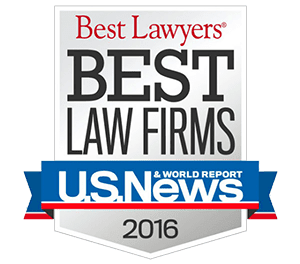 Our firm offers free case assessments so that you can have a legal professional examine your case and tell you whether you can file an injury claim or not. Don’t just assume that a single-car wreck is your fault. To get in touch with a lawyer at Will Ferguson & Associates by completing the case evaluation form down below or calling 505-633-0750.